If you are trying to look for some ways of earning money online it is a must to ensure that you do it through a legitimate source. Considering so many people are in dire need of augmenting their income they tend to try out different earn from home schemes and other potential business sources like joining a multi-level marketing (MLM) program and Ponzi schemes without considering the possible risks involved. 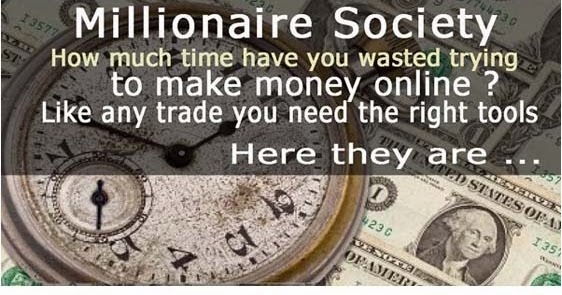 The VIP Team is one of the many money making schemes being offered online and before you get enticed into signing up you should consider asking is The VIP Team a scam? The VIP Team has been around since March of 2015 and the website is registered to Lieven VanNeste. It offers an income opportunity by earning a commission by referrals through its affiliate membership to the VIP Team. The member gets to invest money through the VIP credits that will qualify him as an affiliate to the VIP Team income opportunity. Becoming a member to the VIP Team is essential in order to qualify one to invest and share to the income earned by the group. The investment can reach up to $50,000 with a weekly return of investment and an opportunity to earn an affiliate commission by referring new members. The sharing of income works by investing a sum of money in exchange of VIP credits which serves as a share to the weekly pool of income that the company makes. The pool constitutes of 25% of the affiliate membership fee generated for new sign ups and 50% from the commissions generated through the Exitus Network. The affiliate membership fee is worth $1000 to as much as $50,000. The higher the membership fee you pay the higher the VIP credits you earn. You can also add more investments from $20 to $10,000 in order to grow your credit balance. Affiliate members have the opportunity to earn a referral commission that entitles them to a 40% share of the funds from newly recruit affiliate investors. In order to maintain the pool of income for The VIP Team it is a requirement that 50% of all the commissions paid out is reinvested back on seven increments starting from $1000 to $50,000. The VIP Team compensation plan is designed to ensure that money is reinvested by its affiliate members and to generate income by referrals and recruitment of new members. There is no product involved or services and the fund is maintained only through the VIP membership sign ups, continued investment of members and the reinvestment of funds back to the company. The VIP Team does not provide information about its company. Its domain is registered to Lieven VanNeste who is closely associated to Ponzi and MLM schemes. He is known to be the administrator of PM RevShares which is known to be a Ponzi scheme where its affiliates are required to invest up to $10,000 with a promised 8% return of investment every week. He is likewise connected to another Ponzi scheme called Hourly RevShare in 2012 and an investor for the $1.8 billion dollar Ponzi scheme called TelexFree that was shut down in 2014 by the SEC. Joining The VIP Team is free. The ROI is highly lucrative if you like recruiting new members as an affiliate but the risks is also high. The company existence is mainly dependable on the reinvestment of funds by its members and the ability to recruit and refer new members and investors to the company. It does not market any service or products therefore once the VIP affiliates failed to recruit new members to invest the company ability to sustain its existence is quite difficult. Its website trust rating is also poor and tagged to be unsafe to use. Its website is also tagged as suspicious by scamadviser.com since it is using an anonymous server that hides the real identity of the site owner which is a common disguise made by scammers. 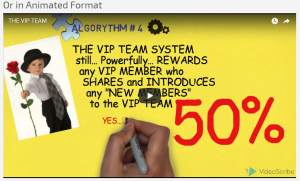 Is The VIP Team a scam? There is no definite answer that it is but everyone must proceed with extreme caution before signing up. It is clear that the existence of the company is mainly dependent on its member investment and reinvestment of their earned income as well as the recruitment of new affiliates. The moment these three processes fail the company will likewise fail to exist. With no services or products to sell the company is not highly sustainable in the long term. But the most disturbing fact is that the site is associated to a person who is known to be involved in Ponzi scams and pyramiding schemes which gives you a very good reason to stay away from the site. IS GET MY ADS A SCAM? – SPEND YOUR MONEY WISELY Is Team Mansell a Scam? – Something Fishy Is Zeek Rewards A Scam? Can You Really Make Money Online With A Membership Site?